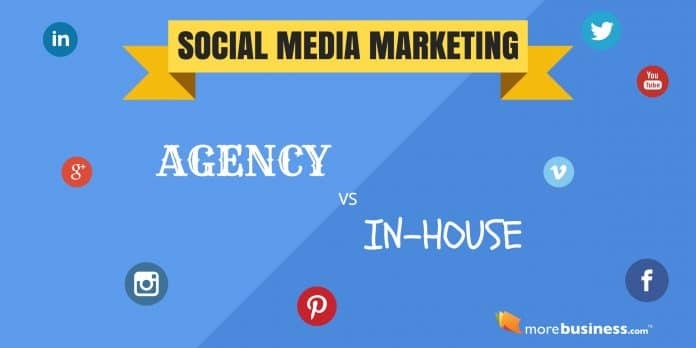 Should you use a social media marketing agency? 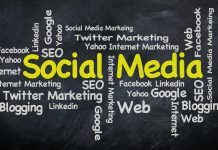 Is social media outsourcing better than doing in-house social media? I’ve done both. Here’s what worked and what didn’t, along with specific recommendations for using social media in your business. I couldn’t ignore it any longer. Just about every company I looked at was using social media to grow their business – or so I thought. Not knowing how to start, I looked to social media outsourcing. I asked around my professional network and found a reputable social media marketing agency that could help the company I was heading at the time (MailerMailer, acquired by j2 Global). My goal in outsourcing social media was to get more brand recognition and close more sales for our product line. The consultant who worked with my team was excellent and understood exactly how to build a following on Twitter. My team and I learned a lot from social media outsourcing. We discovered how frequently to post, what to post, and how to get more social media followers. Built up a Twitter following by tweeting 8–10 times per day on topics related to our market segment. This grew our number of followers from 500 to 7,000 for our niche market product. Found relevant articles to share. We learned that they regularly included hashtags in every post to attract attention. Active Twitter users regularly search hashtags on topics of interest to see who’s talking about what. This strategy got our brand noticed by many people very quickly. Identified people in our industry who had large followings. The consultant managing our social media outsourcing also retweeted posts from Twitter users who had large followings. Rather than sharing their posts “as is,” they added a one-line commentary. This seemed to make a difference. It got some of those users to notice our posts, which they subsequently retweeted. Perhaps it was my social media goals, but after two years of paying an agency for social media outsourcing, we couldn’t determine the value of our efforts and expense. I struggled to correlate the expense of using a social media agency to the value that the increased followers brought to our bottom line. Due to the ambiguity in our return on investment, I decided to stop social media outsourcing and bring it in-house. Although we didn’t find a direct correlation between the number of followers we had and our sales, my team and I felt that there was some inherent value in continuing to grow our follower base. We reduced number of daily posts to 2–3 (from 8-10), mostly because we had our in-house marketing person take over this responsibility and she had many other tasks to do in addition to her new role as in-house social media manager. The number of followers continued to increase, albeit at a slightly slower pace. In the year that followed, we went from 7,000 to 9,500 Twitter followers. Yet even with the cost savings of doing in-house social media, I still couldn’t correlate the value of increased number of followers to any relevant sales metric or key performance indicator. 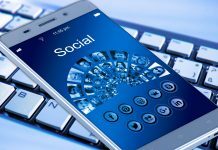 After trying both approaches, using a social media marketing agency and doing in-house social media, we observed several trends. We found that the content we wrote for our own blog had the most impact, regardless of who posted it (agency or in-house) to social media channels like Twitter, Facebook, and LinkedIn. Anytime we posted a note about a blog that we wrote, we would get more interest than any of our other posts. Whenever we posted a comment or tweet (or retweet) about someone else’s article, the lift we saw was marginal, but not zero. This indicated that there was some value in sharing other people’s content. If we added a short note about our thoughts on content we shared, more people on social media paid attention to it. It turns out that there is one important component that we did not realize at first. Google now incorporates social media into its ranking algorithm. In other words, Google assigns a value when it sees other people sharing and talking about our content. It uses these brand signals as a component when it ranks web pages. Based on this data, we tweaked our in-house social media strategy as part of our marketing plan. 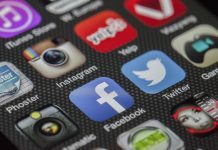 As you implement social media marketing for your small business, use the following tactics to create a meaningful footprint. Write about the problems and challenges your clients are facing. You can do this yourself or have an agency write it for you. Another option is to hire a part-time journalism student to interview you. You are the subject matter expert and they can put your thoughts into words. Post useful material to your blog frequently. Talk about your posts on social media and use appropriate hashtags to attract attention by others searching on those hashtags. Use a web browser plugin to share other people’s articles that you liked so your posts are not all about yourself. Instead of just sharing content without commentary, add a one-liner about what you think of it and then share the link. Copy our social media marketing plan to create a strategy for your business.